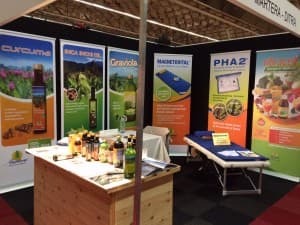 Come and visit us at the Biofach exhibition in Nürnberg, Germany from the 13th until the 16th of February 2019. We are looking forward to welcome you in hall 1 stand 251 (part of the Flanders Investment and Trade pavilion). For more information, please visit www.biofach.de. Please note that Biofach is restricted exclusively to trade visitors. 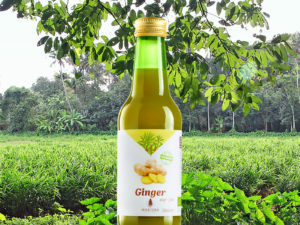 Pure juice of fresh ginger rhizomes from organic, Indian agriculture. Ginger is very aromatic and is used in the kitchen all over the world. The juice can be used instead of fresh ginger. This saves time and is very user-friendly. The Martera Ginger juice is 100% pure, without added water and therefore quite spicy. Delicious in an (alcohol-free) cocktail, a smoothie, a cup of tea,… but can also be used for cooking, baking or stir-frying. Contact us via the contact form for more detailed information. 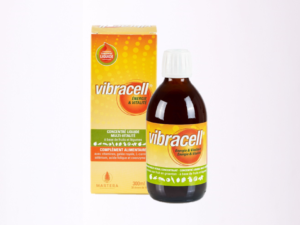 Vibracell, the multi vital food supplement, has a new look! The label as well as the box are renewed. Moreover, the formula is also optimised: Vibracell no longer contains mare’s milk, so Vibracell is now free of gluten and lactose. The Martera turmeric juice has a new look! The new green bottle is lower so it is easier to store on the shelves and more stable as the base is wider. So, there are only advantages! The juice remains the same: 250 ml pure and undiluted turmeric juice with a powerful anti-inflammatory effect. The juice is now of the new harvest and has a nice orange colour. 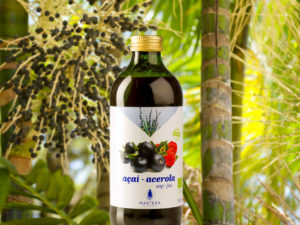 Discover the delicious mix of açaí berry purée with acerola cherry purée. Both superfoods are exceptionally rich in nutrients and antioxidants. By adding acerola, the juice is also a source of natural vitamin C and a real benefit to your health! The juice also blends deliciously with a smoothie, virgin cocktail or fruit salad. Both purées are of exceptional high quality and are from organic certified origin. There is no water added so it is a thick liquid juice with a nice taste. 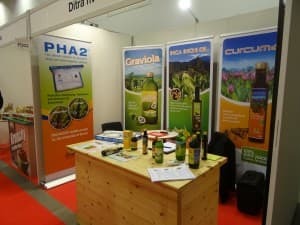 We are exhibiting at Biofach in Nürnberg, Germany from the 14th until the 17th of February. You’re welcome to visit us in Hall 1 booth 151 (part of the Flanders Investment and Trade pavilion). For more information, please visit www.biofach.de. Please note that Biofach is strictly trade visitors only. 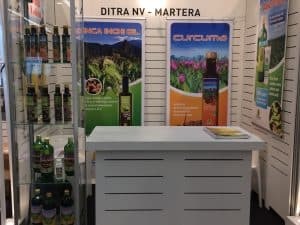 We exhibit at Natural Products Scandinavia in Malmö, Sweden from the 16th until the 17th of November. We kindly invite you to visit our stand J01 in the Nordic Organic Food section. 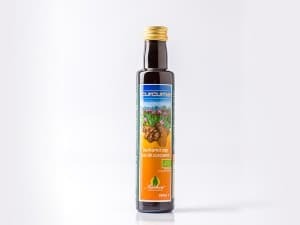 For more information, please visit www.naturalproductsscandinavia.com. Please note that admission to Natural Products Scandinavia is restricted exclusively to trade visitors. 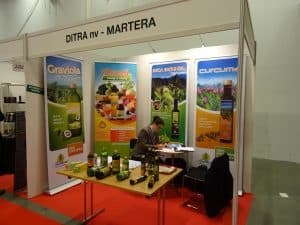 We exhibit at Natural Products Scandinavia in Malmö, Sweden from the 1th until the 2nd of November. We kindly invite you to visit our stand J02. We exhibit at Anuga in Köln, Germany from the 10th till the 14th of October and kindly invite you to visit our stand. You will find us in Hall 05.1 stand D026. 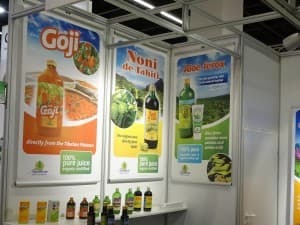 For more information, please visit www.anuga.com. Please note that admission to Anuga is restricted exclusively to trade visitors. Juice of fresh turmeric rhizomes from organic cultivation. No water added. 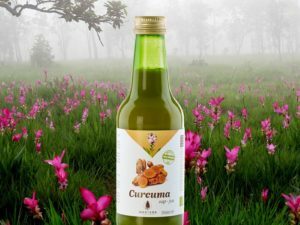 The Martera turmeric juice preserves the active substances as for instance the essential oils which stimulate a maximum absorption of the curcumin. Pure and has therefore a powerful taste. More detailed information can be requested on the contact form.